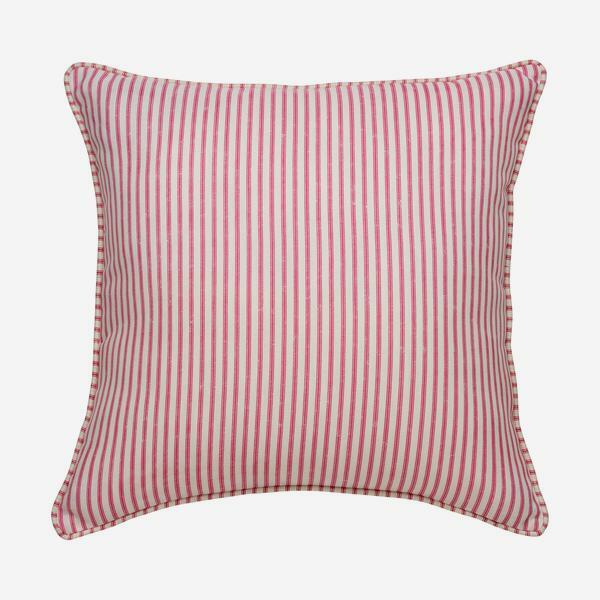 Savannah Paradise is a stylish and versatile ticking stripe outdoor scatter cushion in hot pink with the same summery piping. Our outdoor cushions are disperse printed on 100% Polyester cloth which makes them suitable for outdoor use. On the outside they have been treated with an additional showerproof and antimicrobial finish, and on the inside there is an FR polyester outdoor fibre pad. 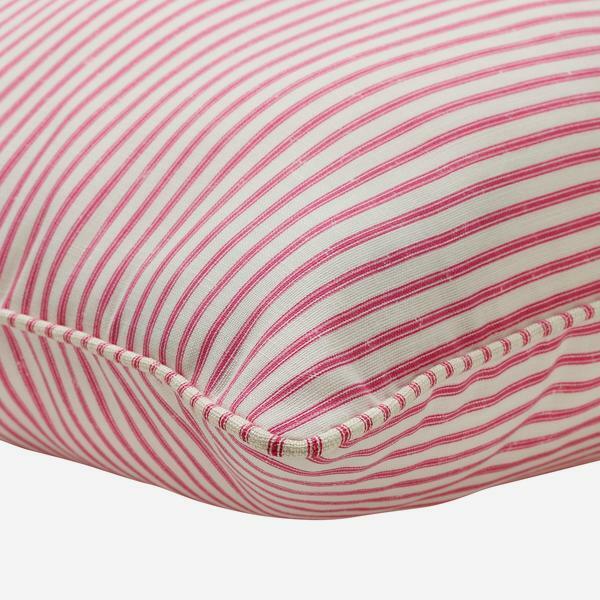 We do recommend however, that these scatter cushions are looked after carefully and are best used in dry weather. As with most outdoor textiles, they prefer to be stored inside when they aren't being used, or during periods of wet, cold or damp weather.